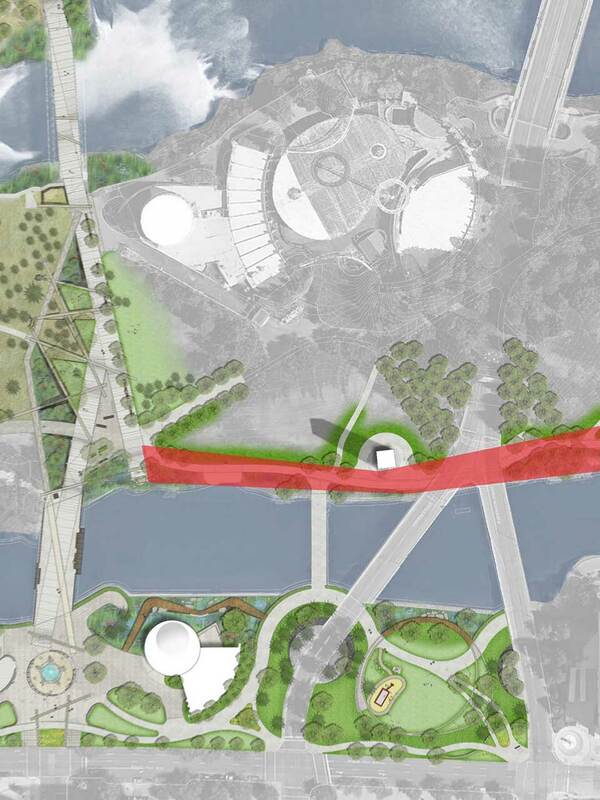 Imagine Riverfront as the central gathering place for the region, pulling people to the center (the Central Plaza and Pavilion) for all major events and festivals. 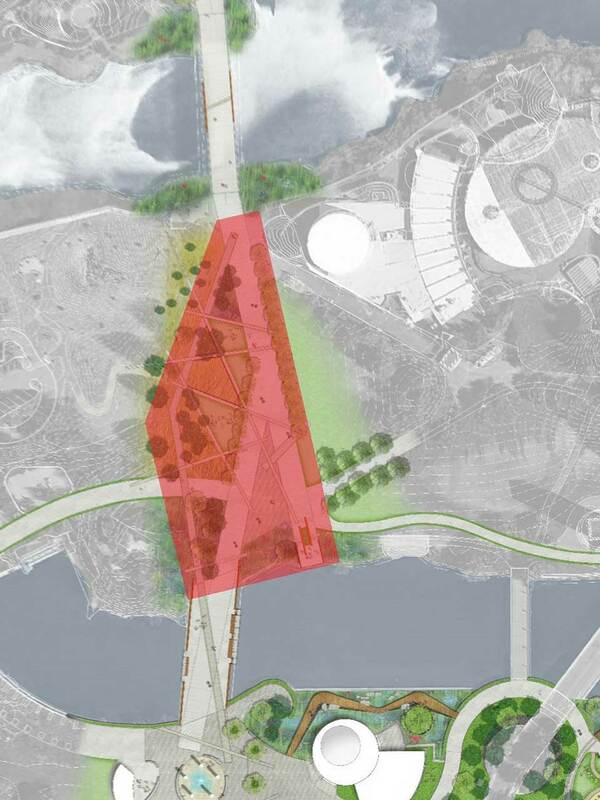 The Public Spaces and Park Grounds develops the continuity throughout the Park while increasing potential use through well-lit, expanded walkways. 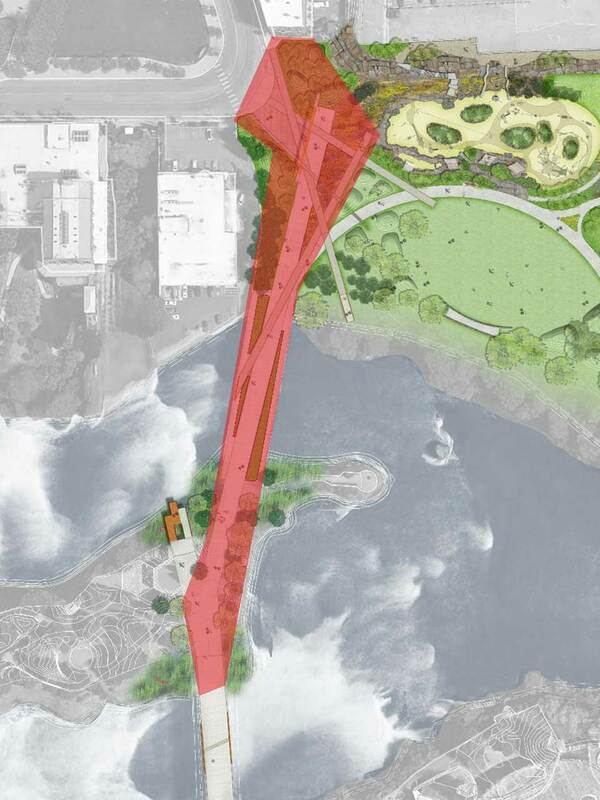 The Howard Street Promenade aims to be a strong architectural and visual connection through the Park, leading visitors to the center of the Park and to the Spokane River gorge. 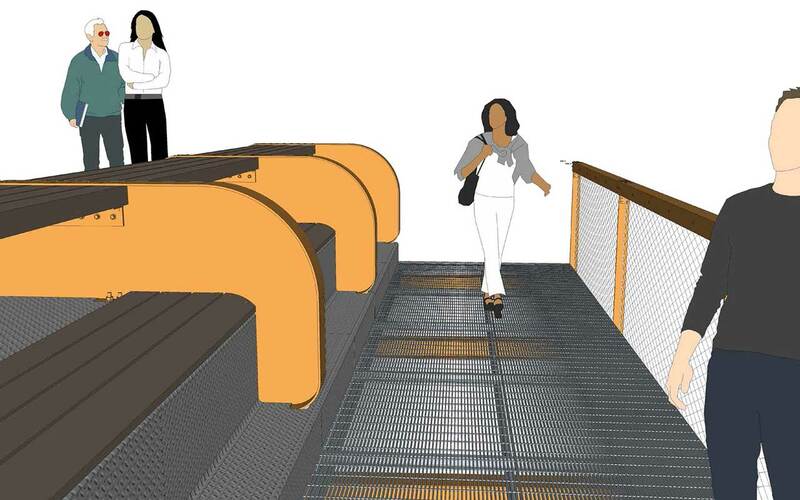 The Berger Partnership earned the Public Spaces and Park Grounds contract through their innovative design and community engagement. Berger also compiled and shared a detailed mapping of the Park that assists all consultants in collaboration across the five bond projects. 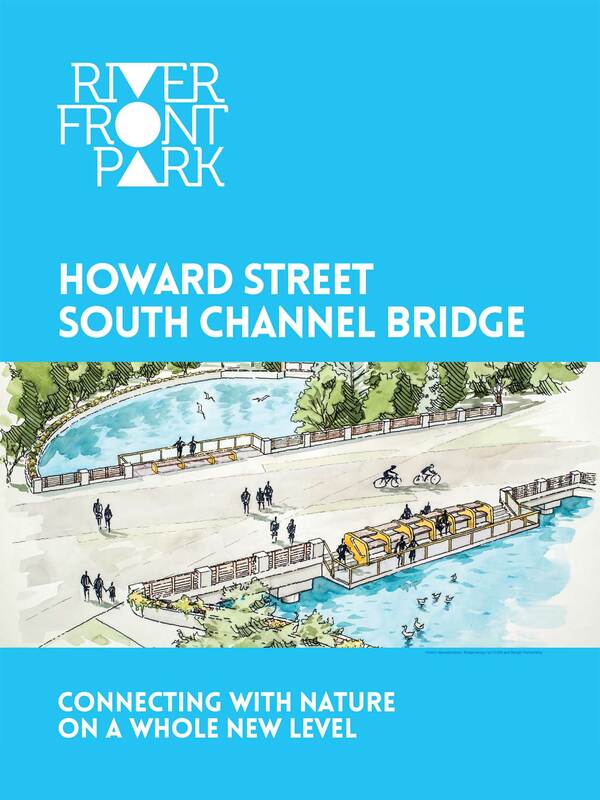 The brand new Howard Street South Channel Bridge will serve as the main gateway into Riverfront Park for hundreds of thousands of pedestrian visitors each year. The original Howard Street South Channel Bridge, which was recommended for replacement by structural engineers, has been removed. The piers, beams, and substructure for the new bridge were completed in early August 2017. 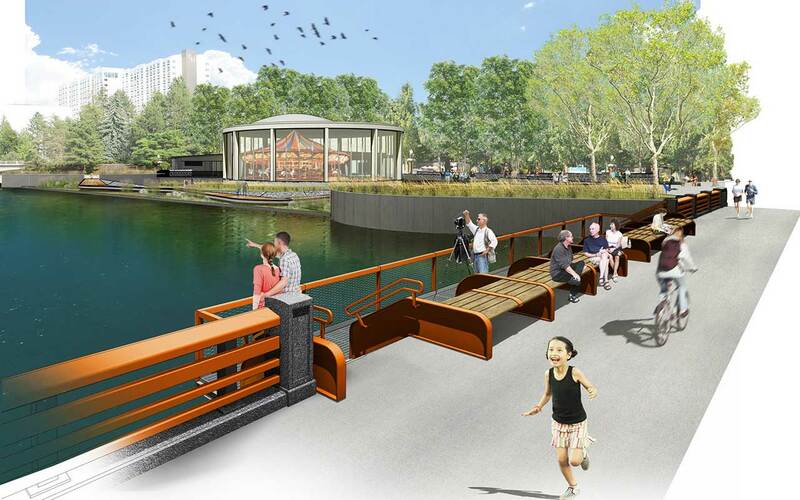 In fall 2017, the placement of decorative railings, benches, and lighting will be installed and the majority of the bridge will be complete. Phase II involves the final overlay of decorative pavers. 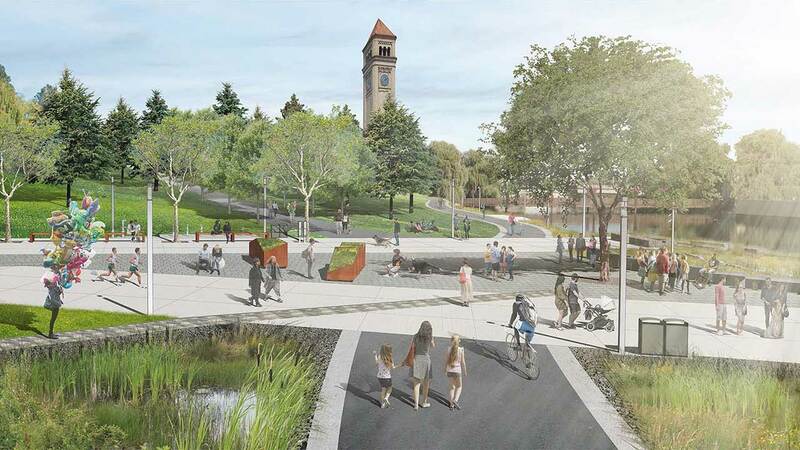 To create a consistent look with the Howard Street Bridge and save funds by ordering in bulk, the construction company working on the Looff Carrousel site (Walker) will integrate the same decorative paving at the Looff and Rotary Fountain sites.